Alex, I think you meant to say Week 5 (or maybe 6), not 15. :) I'm looking forward to trying out the new quiz program! Hannah - Oh, thanks. I meant Week 6, but must have put 15 because of the date... :) It is updated now. Won't be able to make it :( Next time, though, I will be able to! I don't think I will be able to participate in this quiz :( Unless there's a change of plans. Where's the new quiz program? Very excited to see all the new developements! Hope to make the quiz if I wake up in time. I'm excited to see the new quiz format! I will be there! Do you have to login or anything for this new format? Rachel, you will have to be logged into your Memverse account I am pretty sure. I am going to be logged in espcially since Alex was saying "please make sure that the Bible version you have set in your Account Profile is the Bible Bee version you want to use for the quiz". This sounds really cool . . . I'll be here if I can remind myself! Thank you to everyone who's been working on getting this together! I will certainly try to be here! @ Alex: Will this new system mean that we no longer have to score? Will the program do that automatically? i cannot wait for the quiz when will the last one be? August 26th is the last Friday before the Bible Bee Locals - 1 day before. Are we gonna do that? That would be wonderful practice!!! Having one on the night before the Bible Bee would be cool. Maybe we could make it longer and cover all the material, instead of just the last week. Jamie - We will have the link in the blog post tomorrow. It will be on this site, though. Rachel - Like Sarah said, every person participating in the quiz will have to be logged into their account on Memverse. This is no different than when we do quizzes on the blog in that respect. every Thursday? or do you mean Friday? I am on the Leaderboard?! Why?! It said "with the most verses memorized" ... I only have 2 verses (on Memverse) memorized! I am confused. @ Alex: I didn't mean that we should do ALL the verses, necessarily. I just meant that we could do more than just the one week that we usually do, and maybe we could have it a little bit longer than just 15 questions. I think we should have some greek words tied into a normal quiz. That would be awesome. Alex, thanks so much for this new quiz feature! It looks awesome! Everyone, we are going to have a little practice quiz at 4pm (Pacific) / 7pm (Eastern) today 7/14/2011 i.e. one hour from now. It will be quite short (5 references and 5 recitations) but it will help to give us a feel for the remaining few kinks in the system. If you'd like to try it out and make sure that your browser is ready, click through to http://www.memverse.com/live_quiz a few minutes before the start. We'll start fairly punctually. The questions will all be very well known verses taken from the 20 most popular memory verses. It shouldn't take more than 15 mins. Afterwards, we'd love to hear about any problems you experienced: was the time per question too short or too long, was your score being recorded etc. Please report your browser version so that we know which browser was causing the problem. Also, two comments about the built-in chat (I knew that would get your attention) ... please use it sparingly for now. Second, it occasionally takes a while to register your chat message so no need to send the same message repeatedly if it seems sluggish. @Andy: I went on the site, but I'm not sure if I understand it right. If we want to submit our answer we put it in the little box that has "Send" beside it? I think my sister and I will be able to make it, if nothing comes up! Thanks for all the work you do on memverse! Bethany - that is the 'chat' window. Once the quiz actually starts you will see the boxes to put your answers in. It will be on the left side of the screen. The quiz should only take about 15 minutes, by the way. Andy - Oh, I see. Good thing you told me or I might have put my answer there when we started :) Also, you said not to refresh the browser - will the answers/questions/chatting load automatically without us refreshing it? One more question, and then I'll stop bothering you...the verses are Bible Bee ones, or not? Sorry, I won't be able to make this one. I'll be there tomorrow, though! Andy - That's nice that they will load automatically. Andy - That's just fine. I understand now. Sorry, I can't make it! I was just called for supper. I'll look forward to it next time, though! I missed it :( Actually, I had supper to eat with my family...that's why I couldn't do it. @Alex - are you still wanting me to lead the quiz on the 22nd? Will you need people to lead them because of new place to do it on? Bethany - Thank you for volunteering. I think, though, that with this new system I will probably be creating the quizzes, at least for now. There are two parts: 1 - I like being able to help with the quizzes, especially now that it is easier :) and would like for everyone to be able to participate in them and 2 - at least at this point, we haven't opened quiz creation to everyone. I appreciate your willingness to help but I think we'll be good now. Thanks! How does the auto one work? Alex - I understand. If you ever need help with them - and I would know how - I can help. Like Zachary, how does this one exactly work? As to how it works: the link is now in the blog post. Please be sure to have this page opened and keep it open in your browser before 4:00 PM EDT when the quiz starts - it seems that if you are late, it does not work... You are not supposed to refresh the page, as this will make it difficult for you to continue participating. The page updates continually with the next question and live chat, though Andy has asked that we keep the live chat light to prevent it from slowing down the quiz. The format is what you are used to: 15 questions, for which you give references for the first five, type your answer for the middle five (spelling matters now), and give the references for the last five. It will give you a box to answer in and will automatically grade you. There is also a scoreboard that will update several times throughout the quiz. Like we pointed out in the post, though, you do need to make sure you are using a new version of your browser. This is also still considered a test in some senses because it has not been proven enough yet and we know of some bugs. Things should seem fairly obvious when we start the quiz. Thanks! I'm not gonna be able to get on until 4:45, I'm going to help with my Mom and Dad in a Bible Study (coming mom : ) ) at a camp and am staying till' 4. The camp's 45 minutes away. Rachel - I think the quiz might be over by then, but maybe I can run it so that you can do the verses on there... I'll have to ask Andy. We'll see. That's great that you are helping your parents with a Bible study at camp. Hope you have a good time. This looks awesome! Can't wait! Brooke - Which part seemed not enough time? References or typing the passage? Alex - Typing the passages. It could just be that I'm slow at typing. I could usually get it all in, but it wasn't all grammatically correct, with commas and what not....but does that matter? I updated my internet just in case my version wasn't new enough. I know that might not sound like a big accomplishment to most of you, but I was so excited! I actually did it! And it only took four tries!! @ Alex: But if we leave the page to make comments, doesn't that mean we'd leave the quiz and not be able to re-enter? Sorry to you bother you with more questions=), but Emma and I were wondering if we'll still need to put our translation after each verse with the new quizzing system. Thanks!! Looking forward to the quiz in 53 minutes! Christian, you can either have multiple tabs or windows open in your browser to be able to be in the quiz, but on the blog post too. Great job, Abigail! I am so thankful that for a while, my Dad's job was fixing computers, so I can do a bunch on the computer. Brooke - Don't worry about punctuation, it doesn't count; just spelling. You can leave out quotation marks, commas, periods, mess up capitalization, but if you make a spelling mistake it thinks you said the wrong word. Abigail - Glad you got it updated! Christian - If you have a fairly recent browser it probably has something called "tabs". If you need help, just let me know what browser you are on... Normally you can press CTRL and T to open a new tab on your browser. That way, you can have two places open at the same time. We have to leave the page to answer the questions? @ Alex: Oh yeah. I have that. I just wasn't thinking that way. I wasn't considering that I could have two memverse tabs open at the same time. Thanks! I can't comment on the new quiz site! I MISSED 8 WHOLE QUESTIONS!!!!!!!!!! Also, I accidentally went off the quiz site and missed everything but the first question. Great. SavedByGrace - Sorry about that. It will be even better next week. I think we're going to try doing it again at 4:30 or so... Let me check with Andy and I will update you. @Alex--All right. Thanks. I guess I got a little (well, actually a lot) annoyed when I got cut off from the quiz. It seemed to be a very nice system, but it definitely needs work. Thank you for all the work you did put into it though. It was fun answering the questions I was able to answer. I think I got to do #s 1, 3, 8, 11, 12, and 15. I was using the newest version of Internet Explorer, but although the chat page was refreshing wonderfully, the quiz part took forever to refresh, and by the time it did, I was many questions behind. We will have another quiz at the same location at 5 PM EDT. Let us know of any bugs you experienced in a blog comment here, along with your browser information. Thanks! Is that today? Great, if so! I'll be there! Ok, so we def need more time. I felt really stressed. That's about it. Explorer 9 worked great for me. One glitch. I submitted one answer as time was running out and it took it as me submitting a blank answer for the next question. Is it set up so that an answer is automatically submitted when time runs out so we can just keep typing. I would suggest giving twice as much time for the ones where we type out the verses. We have several young typers joining us. Ok, so for my sister, she used safari, it worked, but when she hit "submit", it took her out of the quiz window. It brought her to the main memverse page. Oh yeah, also I couldn't comment after a while because there was an "Error On Page." I kept trying to type a comment, but it wouldn't let me. I will try to make it to the 5:00 quiz! I use Google Chrome, and my score stayed at 0 when I earned 12 points from a correct reference in the first 5 questions. I also didn't receive partial credit when I got the book and chapter right on Luke 1:76-79. I also agree with Mr. Walker that it should automatically submit when time's up. SBG, I totally agree about the timer! Me too! Thanks for putting the new quiz together--I really enjoyed giving it a try, and once all the bugs get worked out, I'm sure it will be great!! A few seconds after the quiz, my computer overheated and died, so that might have been what was causing something the glitches over here (it's fine now--I just had to take out some stuff and let it cool for a bit=))! Thank you so much, Alex, for all you do! Abigail - We have made some changes and still want to fix the issue with it asking for username and password. Hopefully it will go better next week. We will also have it give you the correct answer for the recitations so that you know what you missed and we will be sorting the scoreboard. Andy doubled the time for recitations, so that shouldn't be a problem anymore. We are also still tweaking the chat and the scoreboard. Thanks for participating! That was REALLY good--much better than the first one or the blog post quizzes. I almost wish we could do it more than just once a week! I wish I could have made it! It sounds like it was a lot of fun! Who won? @SBG- I know! I couldn't comment for a while!!!!!!!!!!!! What ended up being MY score? I agree whole with my whole heart about the time. We have alot of Primary's and some of us are not fast typers (I being one of them - well, I'm about in the middle) And once in the first quiz I was trying to think of a refrence and JUST as remembered the refrence, it went to the next question. I think there should be atleast 1 minute for reffrences and atleast 3 - 5 minutes for typing out verses. @Rachel Crosswhite (KJV) - agreed! Its at 4:00 In what part of the world? Notice that Alex said 4:00 EDT, meaning Eastern Time. N Elizebeth, where do you live? I will let you know what time it would be for you. You can also go here to figure it out yourself. @Alex (or anyone else): How did the quiz go? Sorry I wasn't able to make the quiz ... I was visiting family. ;) I won't be able to make the next two quizzes, either, but hopefully I'll be back to participate in August! It's so exciting - Memverse is getting close to having 70000 verses memorized! I have lots of verses at an interval of 21 days so I think the amount will go up very soon! BibleBeeJunior11 - I apologize for that. I forgot to save it on my computer. At one point, I think after the 2nd quiz, I had posted it in the chat but you might not have been around then... We won't be needing a second quiz next time like we did last Friday, and I hope to copy and paste the scores into a comment. I think the quiz went well. Memory is coming along. :) Sometimes it is hard to know how far along you are... getting familiar with the verses takes time and doesn't show a lot of fruit right away, though it is an important part of memorization. I'm quite behind on memory. I was trying to be half way done with week 9 this Monday...but I'm only half way through week 8 :( Yes, at times it is hard to know where you are at on memory because of how familier/unfamilier you are with it. I am SOOOO behind in verses! basically all I know is Primary, and I only know about half of those! maybe less. I'll be praying for you all as you memorize, and go through your SS. @ Sarah: When is your birthday in September. I, too, am 14, turning 15 in September. That's why I'm able to be in the Senior division at 14--because I'll be 15 by the time Nationals come around. Mine is September 5th. Thats so cool that our birthdays are around the same time! When is yours? Is there a way to take a quiz when it is not a designated quiz time? e.g. 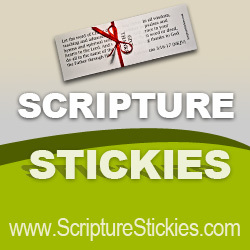 A general bible bee quiz when ever you want? Super401 - Not yet, but we do plan to do that before too long... Thanks for asking. Just letting everyone know that Naomi Elizebeth and smiles is the same person... just changing my screen name. And when is the next Bible Bee quiz? I would like to try and participate. Also i was wondering what version are you using for the bible bee quiz? Simeon... What is your first verse that you memorized? @ Zachary Baas: What is your reward?! Simeon - We'll miss you, but hope you enjoy fishing. Congratulations on memorizing your first verse here on Memverse! Congratulations Simeon!! I know it seemed like foreverrrrrrrr before I memorized my first verse!! BTW: I really like Romans 12:1!! THe next quiz is Friday, right?? Will it be at the same link? BibleBeeJunior11 - Yes, this Friday; no, different link. I will have that for you all soon. I'm planning to do a blog post about future quizzes later today. Thanks. @Alex: Yay! I think I will be able to make it this time...sorry for missing the last one. Also, one question. While the quiz is going, can you see everyones scores, or just your own? Bethany - You can see everyone's scores. Christian, hahaha I'm older! :P JK JK! Im really excited about turning 15 because I get my permit, and after Bible Bee, I will apply for a job. That's really awesome...pretty soon you will probably be at the top of the referralboard. ...I don't know about that. I felt weird just asking the really good friend of mine this morning to check out the website. And I felt weird when I sent out one e-mail to another family in my church last week, so I don't think I'll be up there that high, anytime soon anyway. I can't find anyone to do it for me. My older brother says that he might. I have memorized 90 verses, but I can't move up a level because I have to refer someone first! @Bethany--that is precisely why I referred someone! :) Plus, it is an amazing website that I wanted to share. I wish I could do the next quiz, but my piano teacher just switched my lesson time, so I probably won't make it. I hope it goes well for y'all! @SBG: Yes, I do want to move up a level :) Don't get me wrong though, I, also, want to share it with others because it's such a wonderful help. BBJ11 - WOW! $100 ! I have pretty much kept up, except I am still working on 5 verses from previous weeks and this week's verses. this is for ANYONE to answer - if I am 14 next year when I enter NBB and will turn 15 on July 25, will I be Senior or still Junior? I hope I'm still a Junior :D how many verses do Seniors have to memorize? 13? I can't believe it! 6 days till the due date of our new baby!!!!! YAY! Fun! How many siblings do you have? Hope all goes well with the new baby! @Rachel - yup you would be in Seniors...:( Poor thing. jk I will be in Juniors till...uh, I turn 15 but I am 11 right now and my birthday is in November soooooooo...oh yay! My birthday is on the day of Nationals this year! Abigail Grace - I have 3 brothers (11, 8, 6) and a sister (3) and then the new baby coming :) I'm the oldest. What about you? Alex - yes I agree! @ Alex: When's the next quiz? @Rachel - Congratulations on the new baby!!!! Are you thrilled? @Sarah - I sooooooo wanna make it to Nationals 3 times in a row now! If i make it this year, it will be!!!!!!! :) I want to make it every year...wouldn't that just be coolness? @BibleBeeJunior11 My birthday's during Nationals too!!!!!! It's on the 17th. When's yours? This is another question for ANYONE to answer :) What in all do TT do at Local Contest? Can TT particapate in the Local Final Challenge Round? Or do they just have a Oral and written test. BBJ11, that would be awesome! I really want to go for the first time this year. I've participated every year. Rachel, TT does the oral and written test. Only NT can compete in the local final challenge round. Are you TT? Im NT. Nina - Next quiz is tomorrow (Friday the 22nd of July) at 4 PM EDT. I still have a bit of preparation to get ready for it. SavedByGrace - Yes, we did have Exodus 14:14. You're on top of it. :) I hope you all do well! Bethany... I had alot of trouble with that too. It took me alot of time to refer someone. Alex Sorry I couldn't get on. We ended up staying till' real late. Rachel, its awesome cuz I never really looked at 1 Peter much until the SS, and I LOVE it now! :) It really is blessing me too. If its ok, I'd rather just comment on Memverse. This post is for Bible Bee after all. :P Sorry, but for internet safety, I don't want to put my last name on here. Sorry! Btw, what division are you in? Im Senior. What are your memory tips? @Racehl Crosswhite - You're not on the leaderboard. Whenever anyone is logged in who has fewer then 39 verses memorized always show up at the bottom. When I look at the leaderboard I am at the bottom but I'm not there for anyone else. It's just the sam for you. That would be great if someone did a quiz with the greek words we are studying. BTW - Have you heard of Quizlet? Bethany (Bible Bee) started a group on it. It is for Bible Bee contestants only. You can make flashcards and share it with the people in your group and they do the same for you. The title is 1 Peter. Quizlet.com. BTW - Thanks for the comment you left on my blog. I really enjoy receiving comments from new people. I know you asked Sarah her memory tips but I thought I would also tell you mine. I read it out loud several times over. I write it out and then take a section at a time. I work on the first until I can say it perfect then I work on the next part. After that I stick them together. When I can say the together I move on. @Rachel Crosswhite - do you know if the baby is a girl or boy? Please tell me when it is born. I know how you feel about being excited about a new baby. I was always very excited when we were going to have a baby. Carissa - I WAS on the leaderboard but know I'm not :S strange. No I have not heard of Quizlet but will check it out ;) Thanks for letting me know. @Carissa - is Quizlet.com safe? My mom doesn't like be "surfing the internet" unless she knows where I'm going. I will ask her. Bethany, did I understand right from Carissa that you put the 1 Peter information into quizlet.com? If so, thanks, and please let me know if you put more there so I can pass them on. @BBJ11: Yes, I think that Quizlet is safe :) It's just a place where you can make on-line flashcards for studying whatever you need to...in this case 1 Peter. You can also make flashcards for it you're learning a new language, spelling words, science words, History dates and all sorts of things. @Mr. Walker: Yes, I made a Quizlet group for Bible Bee contestants. So yes, I did put 1 Peter imformation on there. I hope to do more when I find the time. I have about 200 more verses to memorize so that's what I'm working on right now. I will be sure to tell you if I put more imformation on so that you can pass it on. Also, sorry I haven't declared any verses on your post. I have been sick with a really bad head cold (laryngitis included) and I've been busy with my memory work and SS. I will try to do some tomorrow. Bethany, please don't ever let the accountability chart be a burden to you. You can always post whenever it is most convenient. I posted the quizlet.com/5919379/1-peter-1-questions-bible-bee-2011-flash-cards/ link on some Facebook groups and have been receiving some enthusiastic thankful responses. One in particular wanted to make sure you were thanked. Lori Buckner: "Please thank whoever did this. I just printed the flashcards and will cut them later to use with my children tomorrow." Mr. Walker - No, the accountablity chart is not being a burden to me. I just feel sorry that I'm not staying on top of it like I was early, before we went to the Scriptorium. I will definitely try to do it tomorrow. We are having a "Bible Bee Camp" tomorrow with the Bible Bee contestants in our area which our host is leading. I am looking forward to that. Bethany, that camp sounds like fun. If you get a chance, be sure to share about memverse, the Friday quizzes, Study Stack (Now in NIV, KJV, ESV, and NKJ) and the accountability chart. Have you had a chance to try the ESV study stack we put up? My favorite, and I believe the most helpful is the "Study table". It would be cool if some from your group got encouraged by some of the memverse tools for their last month. Mr. Walker - Yes, I'm really looking forward to it. I will try to share about the different resources that we have if I have the chance. I know that our host already has it planned about Memverse, because that is something we are going to be doing today if we haven't already, is making a Memverse account. @BBJ11 - Yes, Quizlet is safe. You make an account and then make flashcards. Bethany made a group for Bible Bee Contestants. Courtney - Here is the blog post with more details on Memverse Bible Bee Live Quizzes: Bible Bee Live Quizzes. If you have any further questions, please let us know in the comments of that post. Thanks! Hope you can make one of the quizzes. @Rachel Crosswhite--has it been born now? now 13 :P c'mon Baby!! !